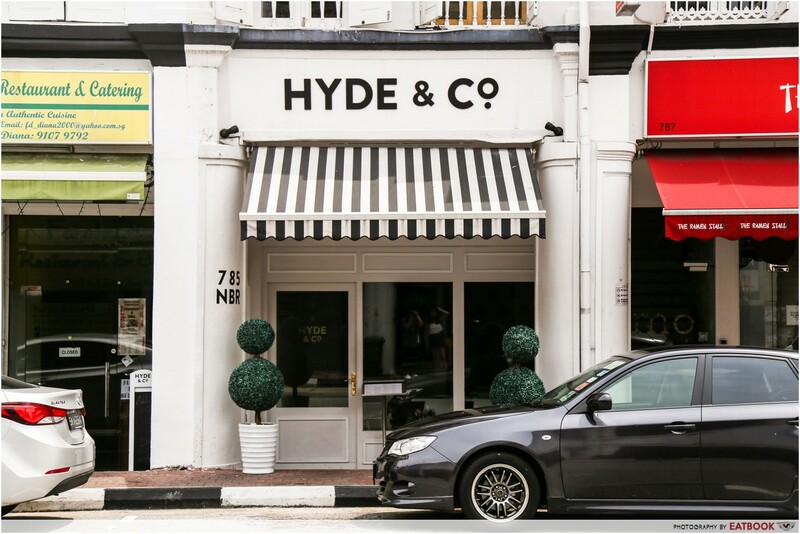 Update (4th April 2019): Hyde & Co. has permanently closed. Imagine yourself lounging in the midst of sun-drenched walls, minimalist decor, and a faint aroma of tea in the air. 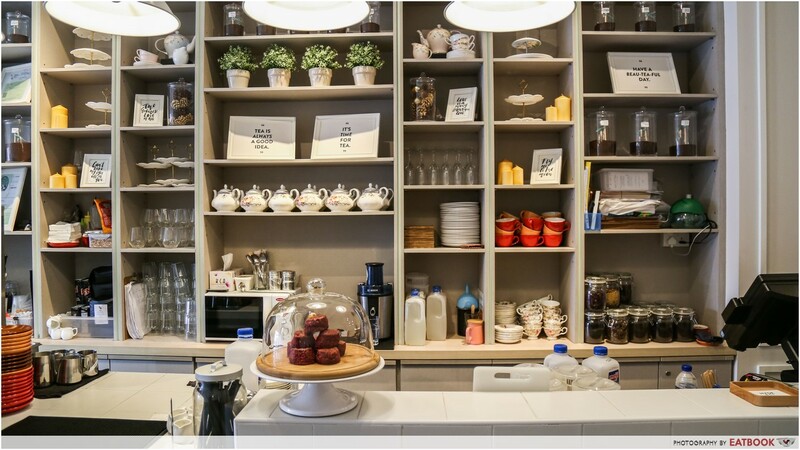 This is Hyde & Co., where every inch of the cafe cries out to be Instagrammed. 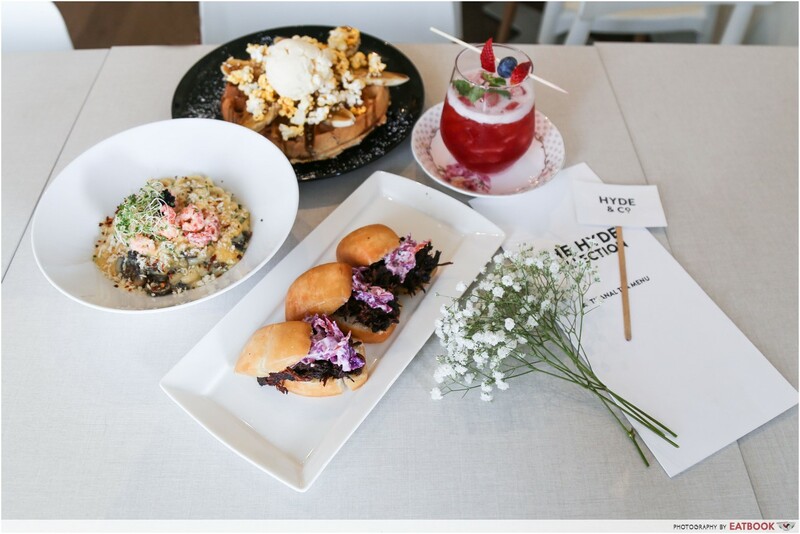 Certified halal in April, Hyde & Co. is known for their dishes that give usual brunch fare a local twist. 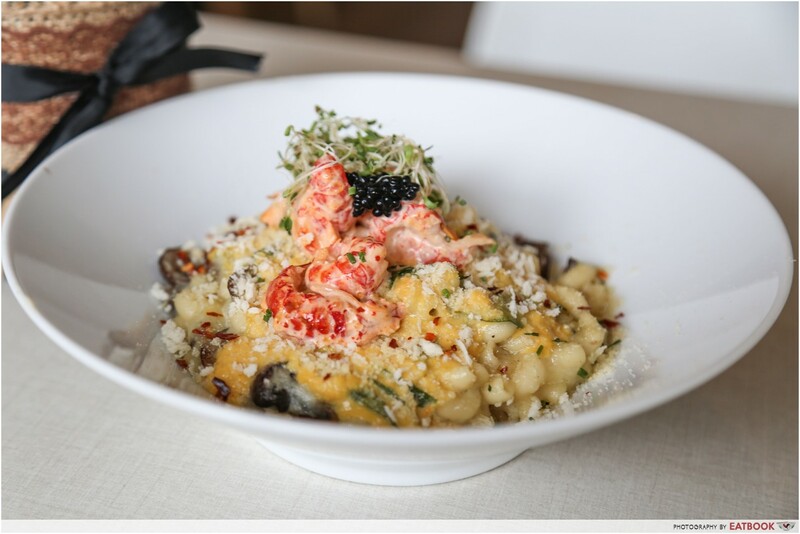 Think Chilli Crab Pasta ($18) and desserts like Pulut Hitam Waffle ($15) that made us wish we had an extra tummy to try more. Food at Hyde & Co.
Say hello to Pulled Beef Man Tou ($8 for 3 pieces). 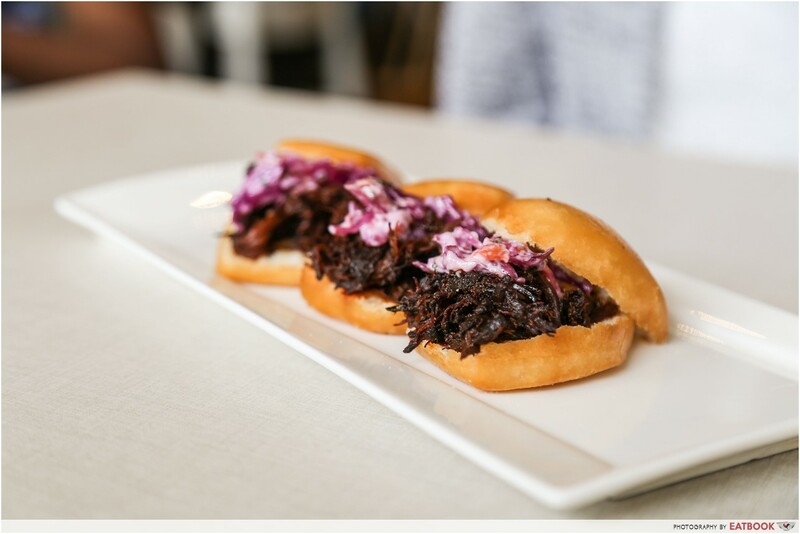 Built with slow-cooked beef brisket, creamy slaw, golden-fried man tou and slathered with homemade BBQ sauce, these Asian sliders are close to becoming my new favourite sandwich. Its smokey, tender beef was balanced out by crisp and creamy coleslaw, but the buns were a tad too oily since the portion was quite small. 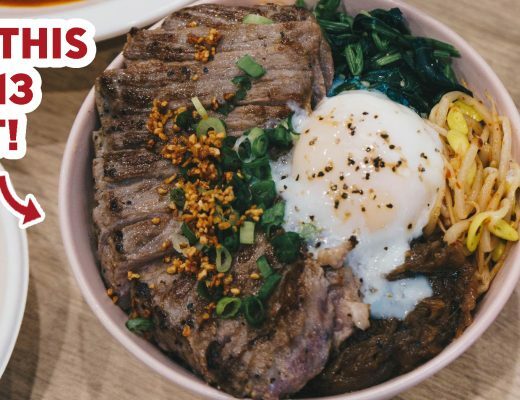 This dish sounds like a #winning new salted egg yolk fix in theory, but it fell short of our expectations. 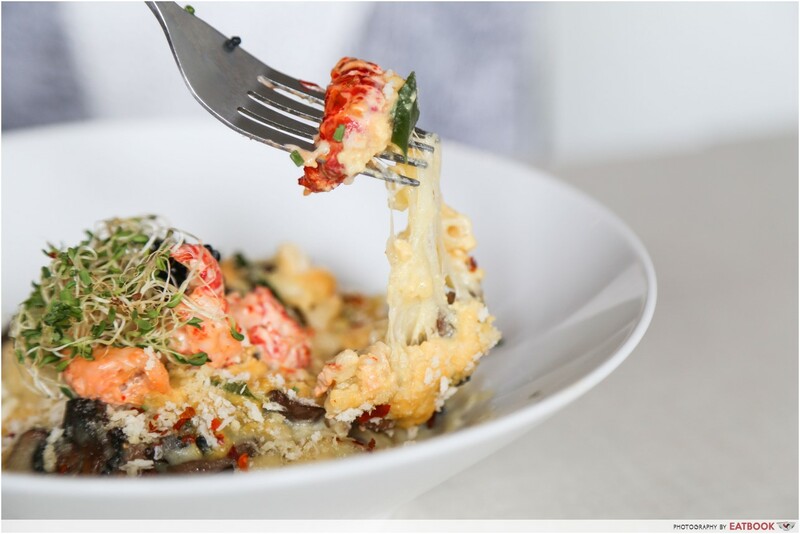 The two strong flavours overpowered each other – salted egg yolk masked the cheesy, slightly al dante macaroni, and the crawfish was cray-zy fishy. Despite its potential, this is still not quite a worthy splurge. Drinks and desserts at Hyde & Co.
Butterscotch Popcorn Waffle ($15) looked downright photogenic, but I was initially skeptical about having popcorn on a waffle. Boy, was I proven wrong. 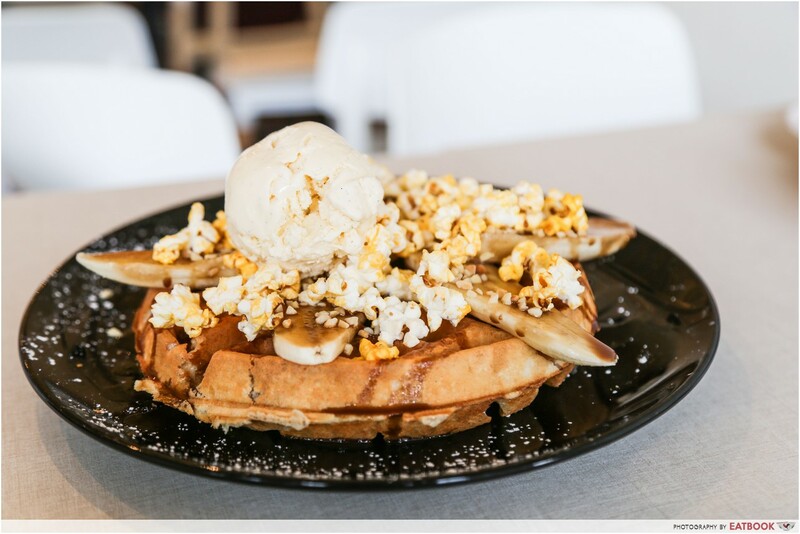 The salty-sweet combination of popcorn and lashings of butterscotch, vanilla bean ice-cream and sliced bananas complemented each other perfectly. The waffle was light and fluffy, and this medley of textures had me clamouring for more. Coffee is my default cafe beverage, but this is one of the rare cases where I’m glad I went for tea. Among their selection of cold brew teas that day, we went with our waiter’s recommendation and ordered Into The Woods ($7.50). 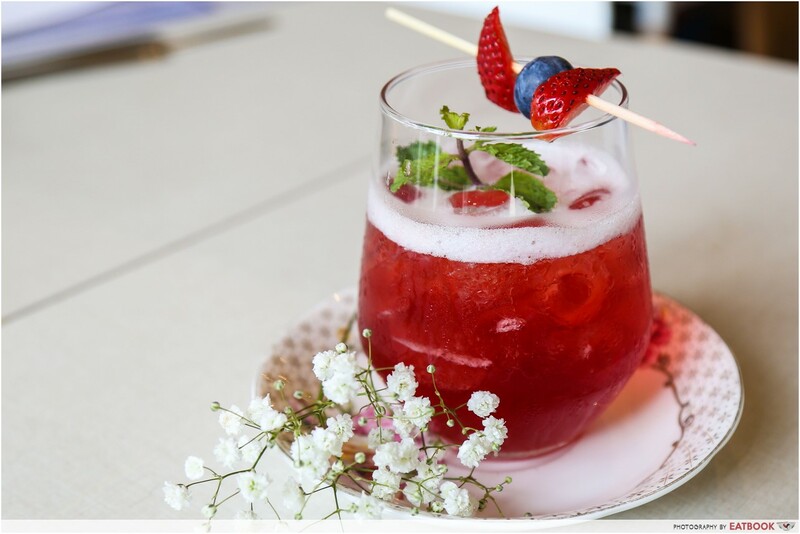 A blend of pure, unadulterated ripe berry goodness, its zippy tang made for an oh-so-refreshing drink with a pleasant aftertaste. 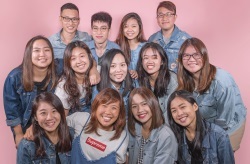 Hyde & Co. sticks out amidst the old shops of Kampong Glam, and it’s great for anyone who’s looking for a backdrop for their #OOTDs. 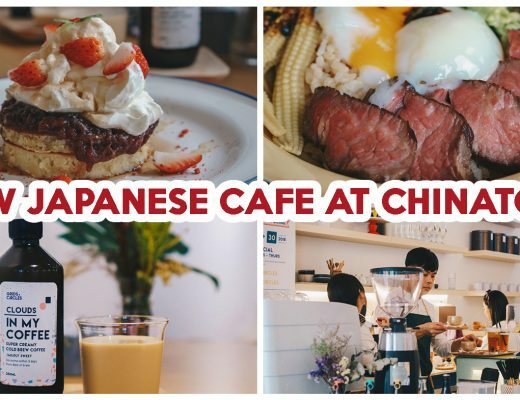 Their service staff was attentive even when the cafe neared full-house when I was there. I’d recommend making reservations especially if you’re planning to visit during lunch hours. 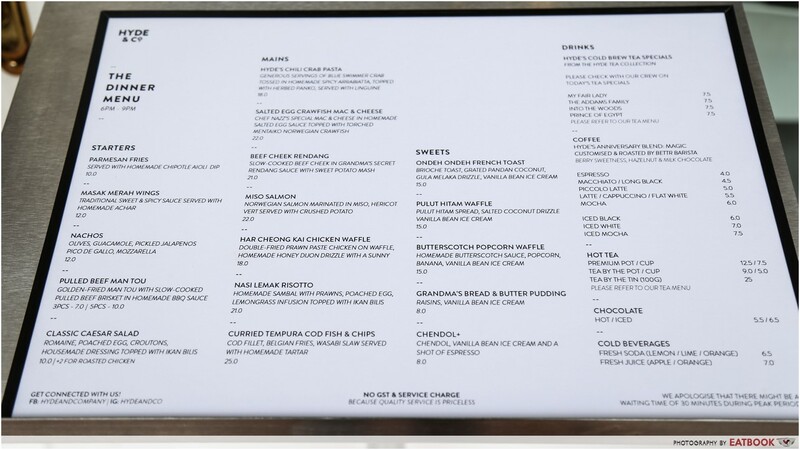 There’s no GST and service charge because “quality service is priceless”, says their menu. Even though their mains leave much to be desired, I can now say with complete sincerity that their sweets and drinks deserve all the attention they’ve been receiving. 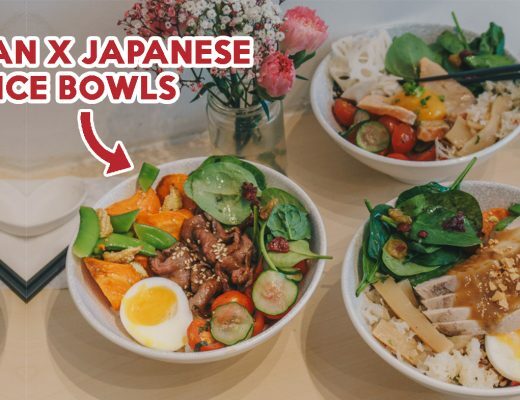 This is an independent review with all expenses borne by Eatbook.sg.